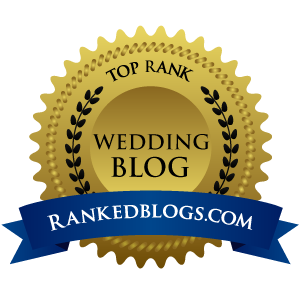 "If you’re one for historical charm and elegance, you’ll be head over heels for Netflix’s The Crown, based on the story of Queen Elizabeth coming into her reign of England. 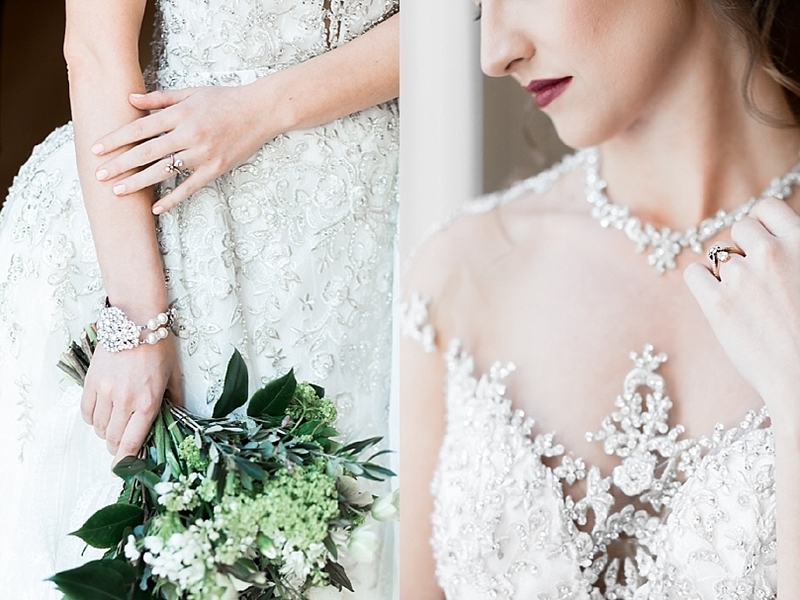 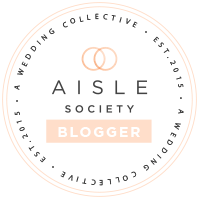 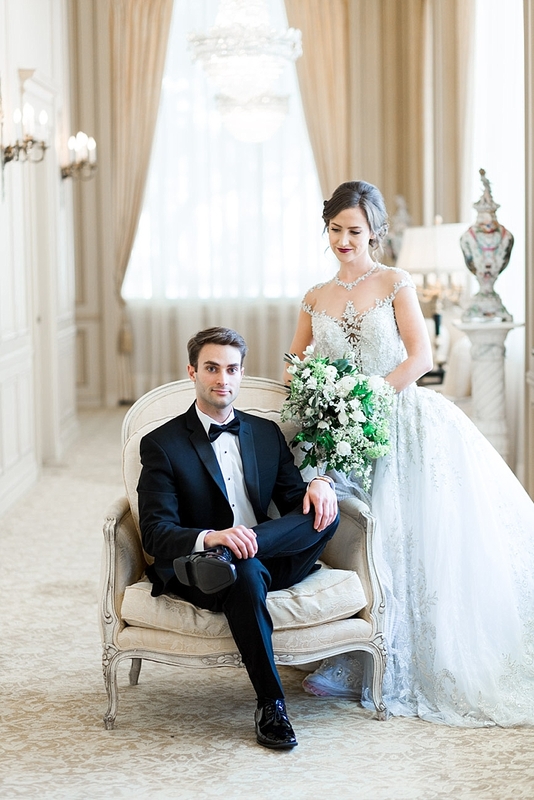 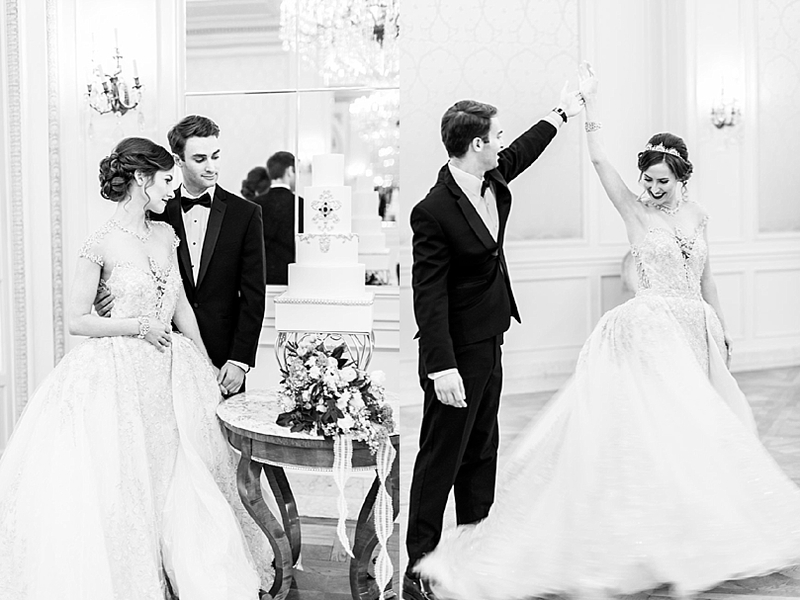 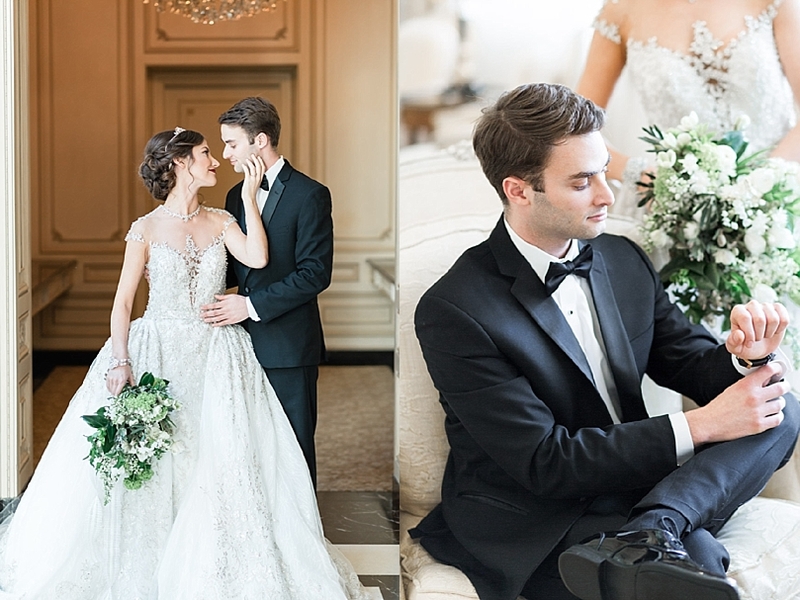 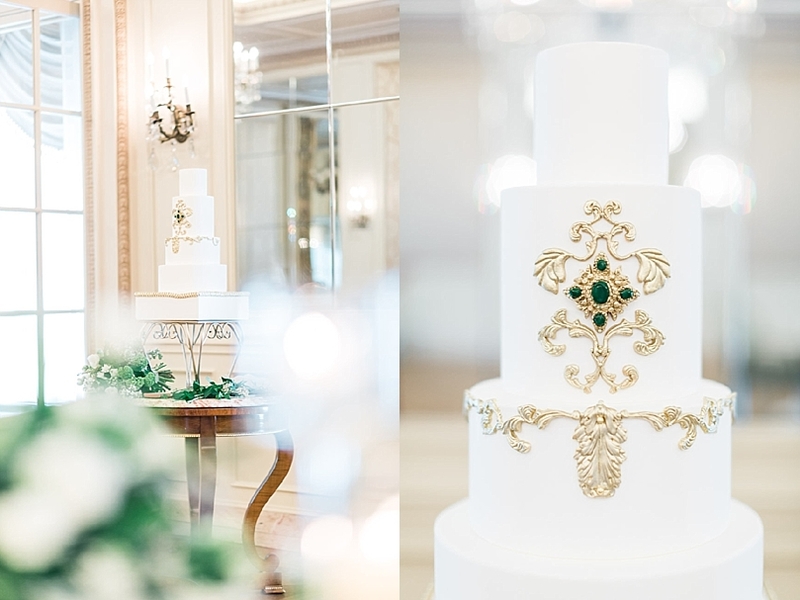 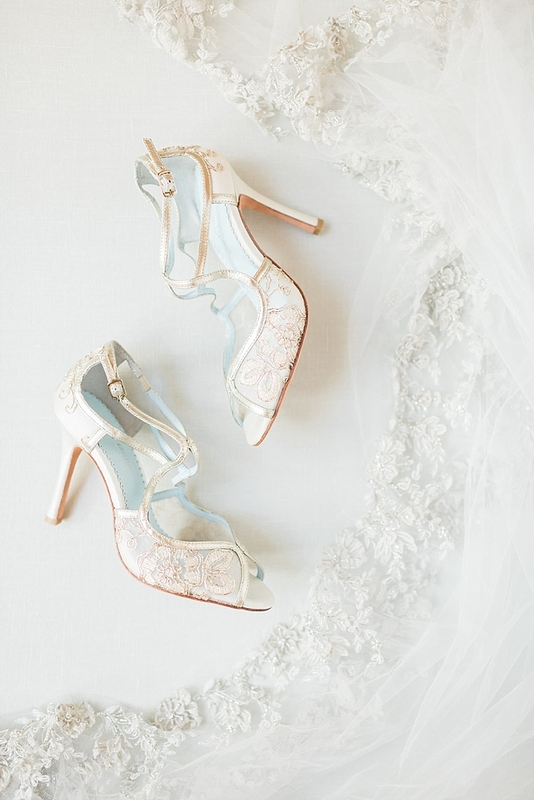 Inspired by this show for its depiction of Elizabeth and Phillip’s marriage, as well as the wedding of Diana and Charles, this wedding editorial features many regal and luxury English-inspired details that are sure to make sophisticated brides swoon. 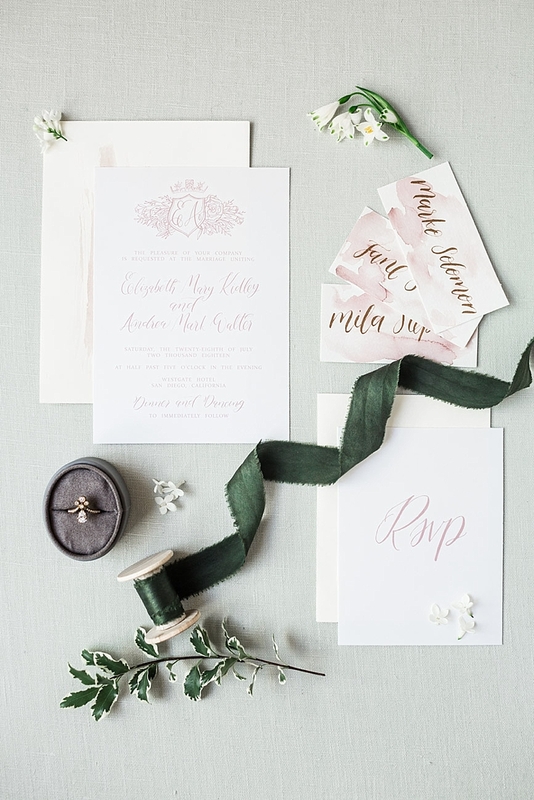 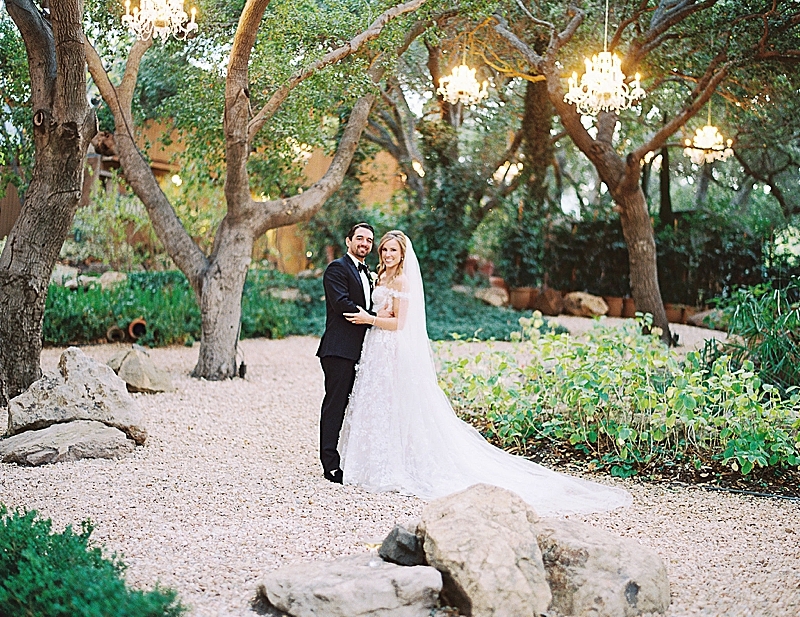 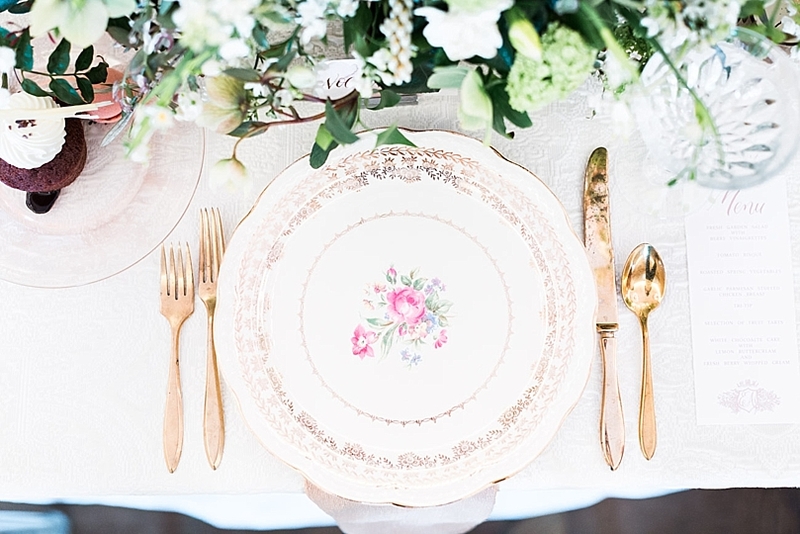 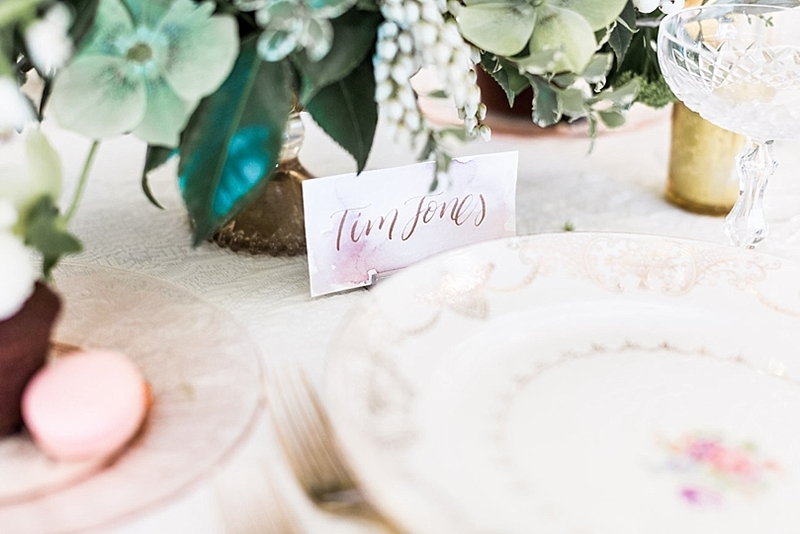 The palette I curated for this shoot included golds, rose golds, greens, and creams. 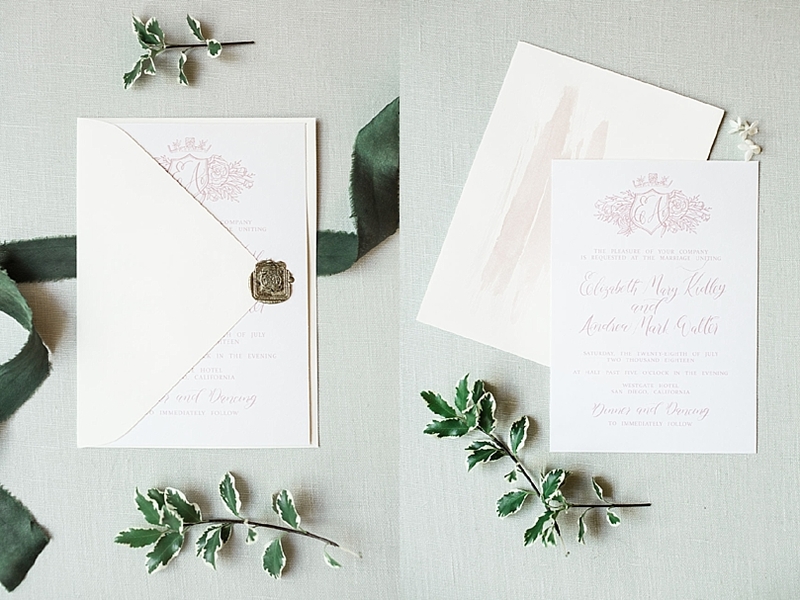 With just enough distinguished infusions of color to suit a wedding during any season, the predominantly neutral palette carries a level of refinement that pays homage to past royal weddings. 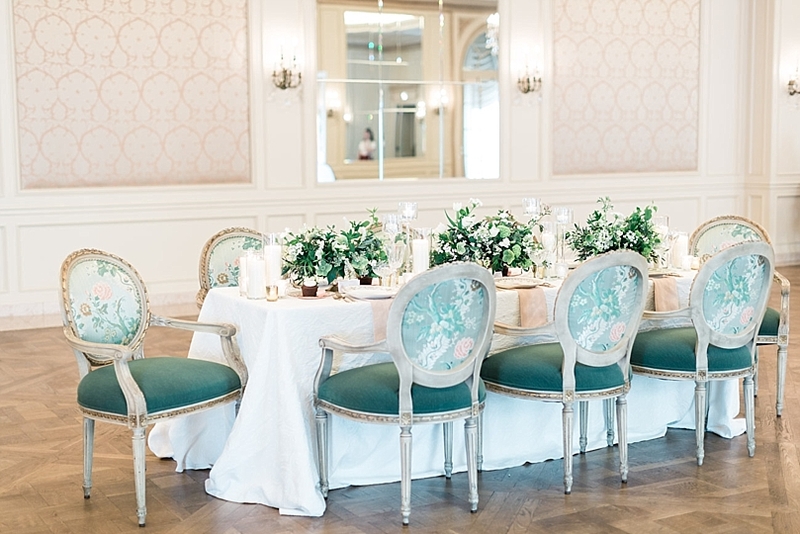 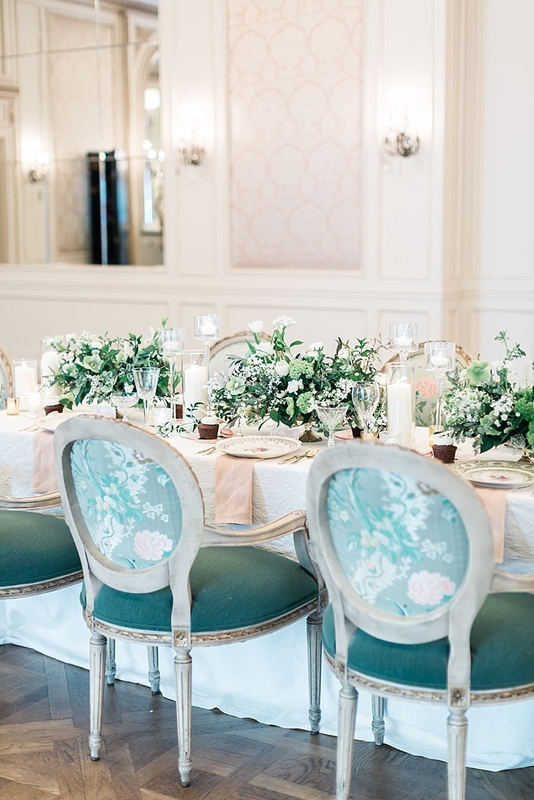 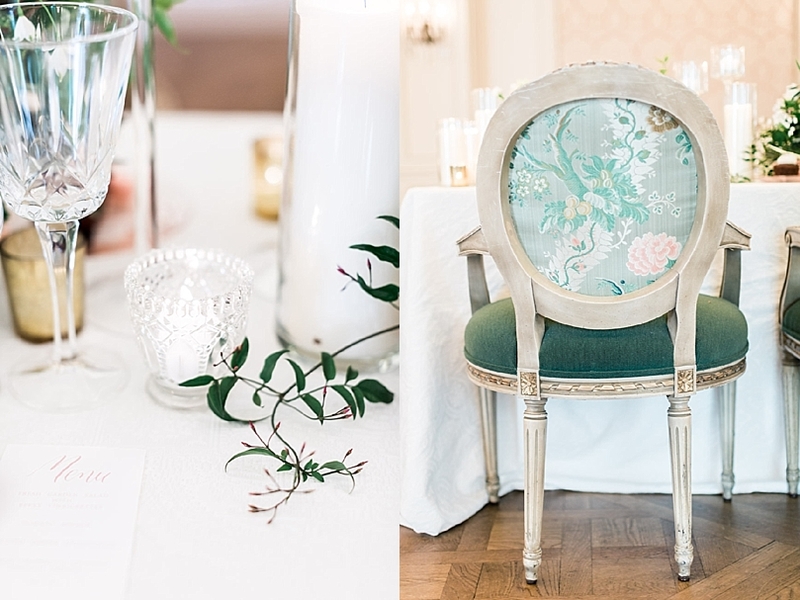 For the table settings, stylist Cara North of Luxe Events chose beautiful floral print china to complement the gorgeous green chairs and textured linens. 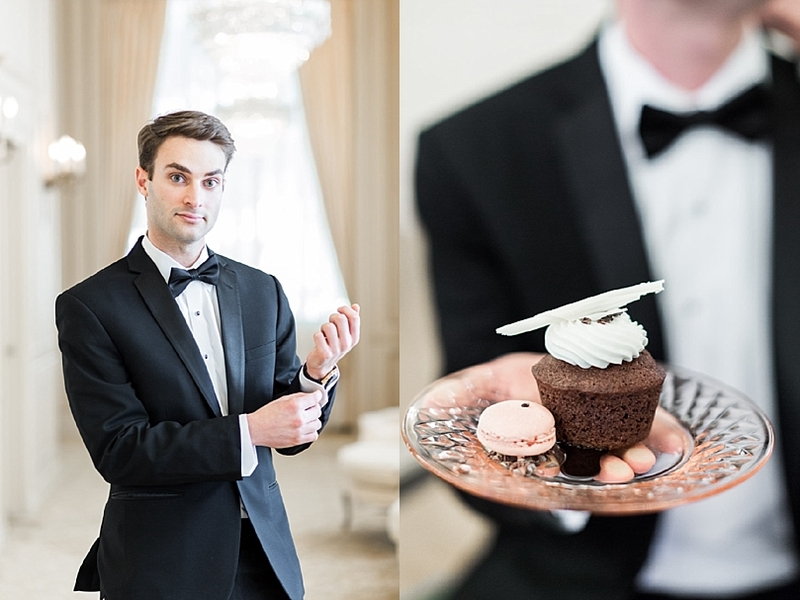 A cupcake and macaron graced a rose gold plate for each setting. 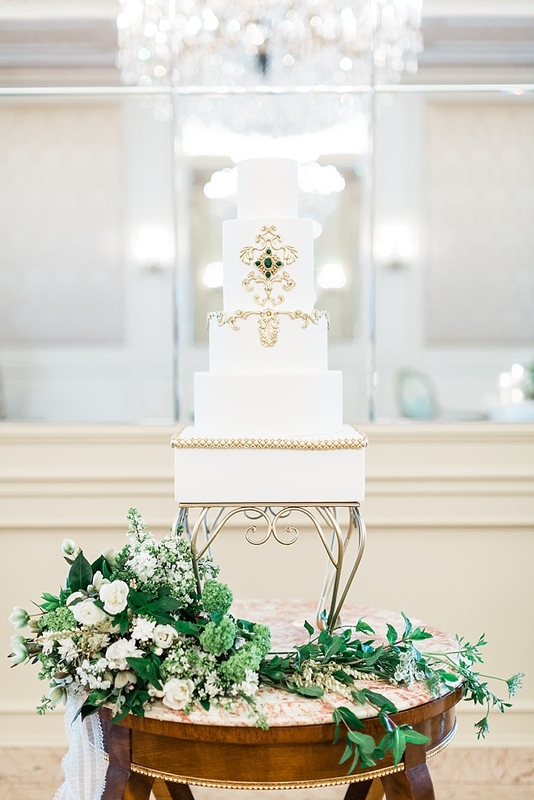 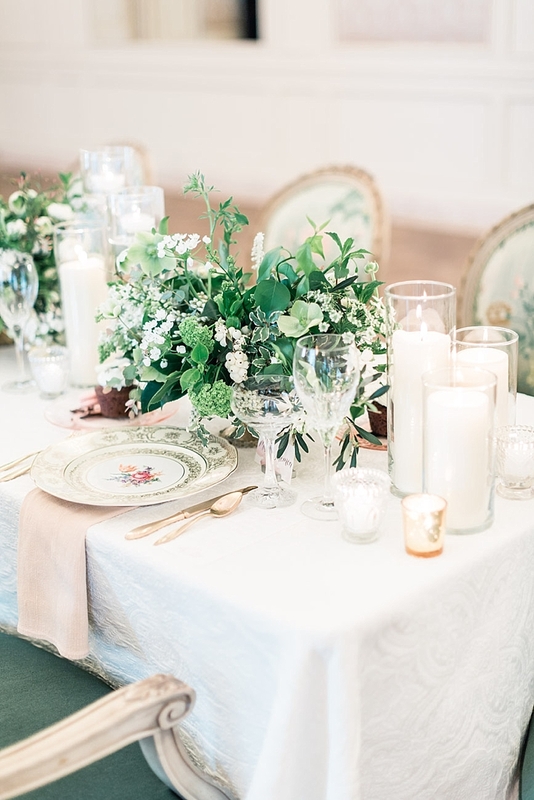 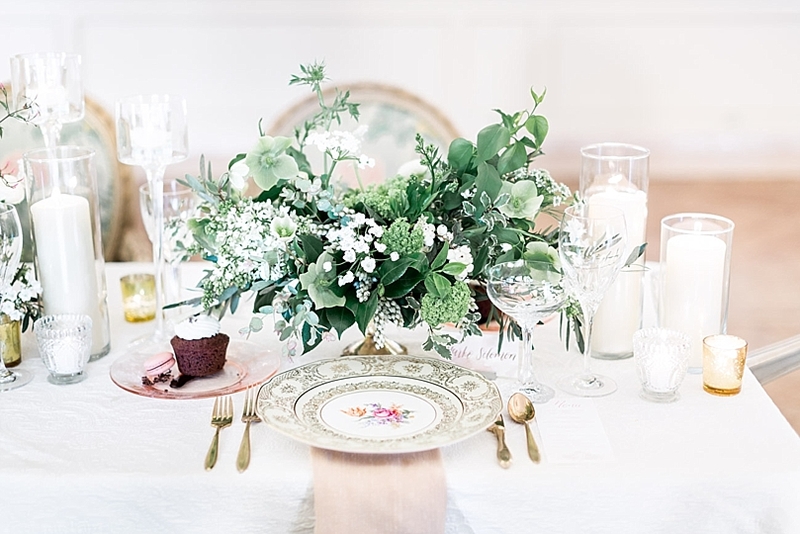 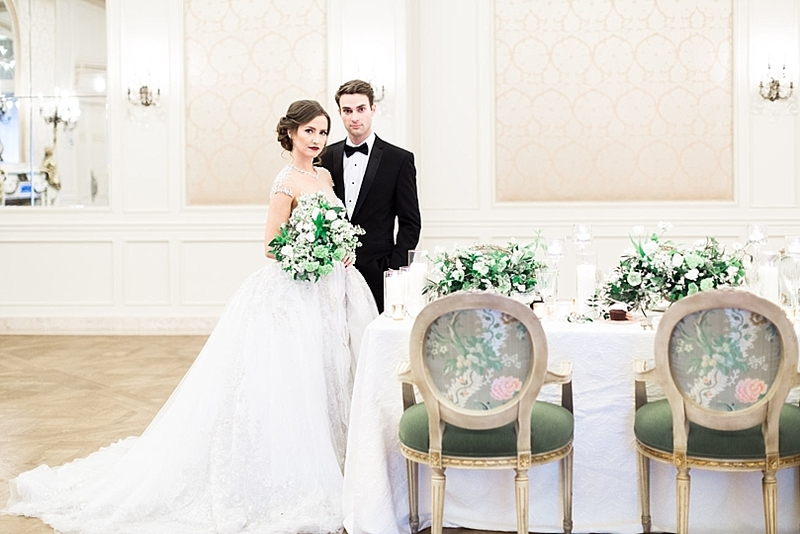 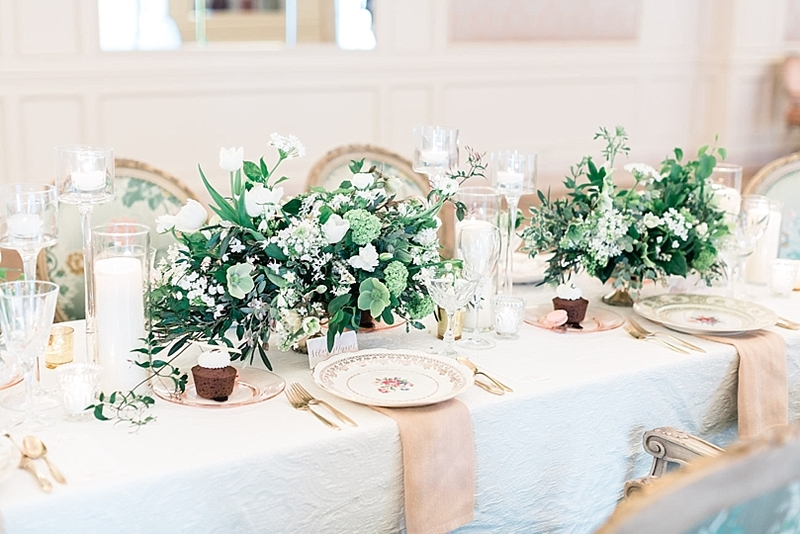 Breesa’s lush green and white floral arrangements gave the table a full look that conveyed just enough opulence for a royal wedding without looking excessive. 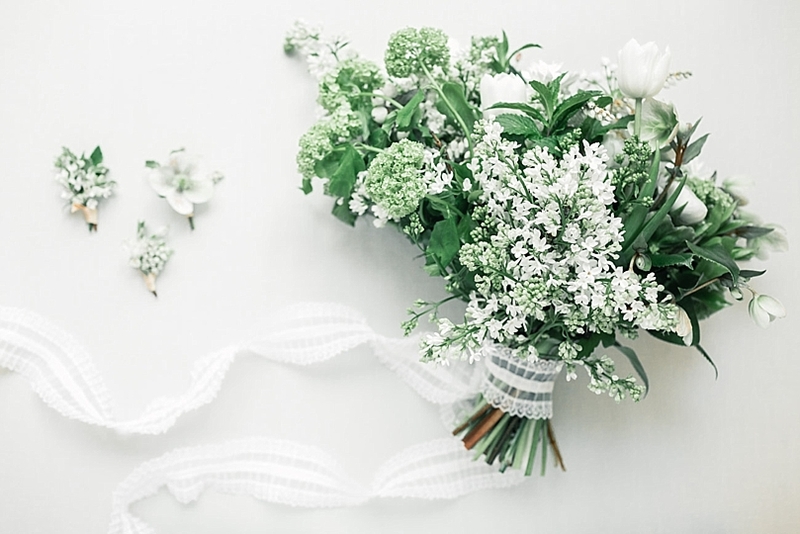 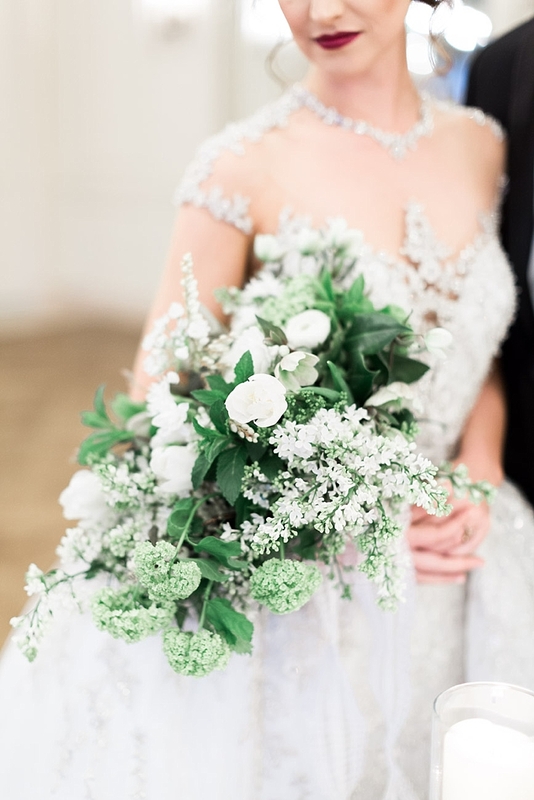 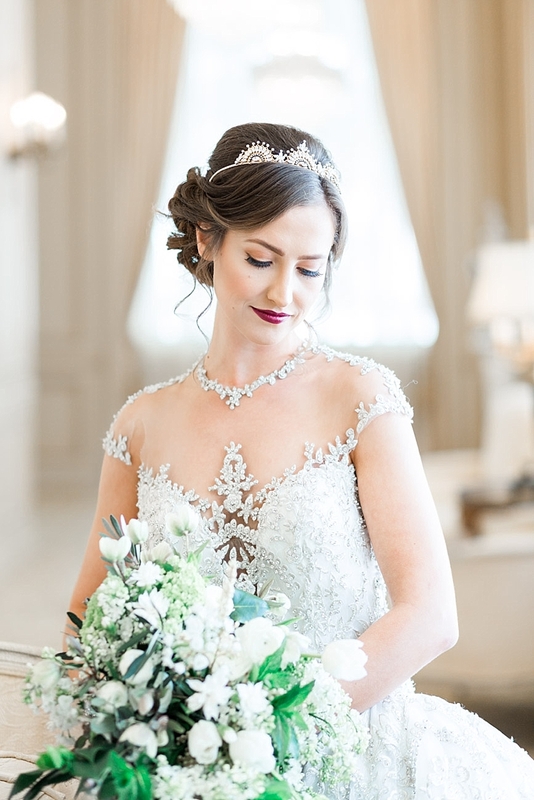 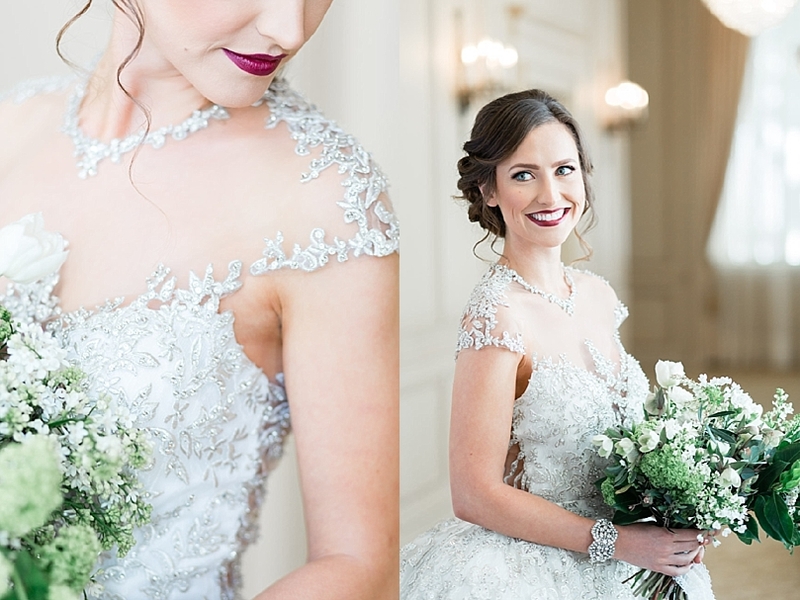 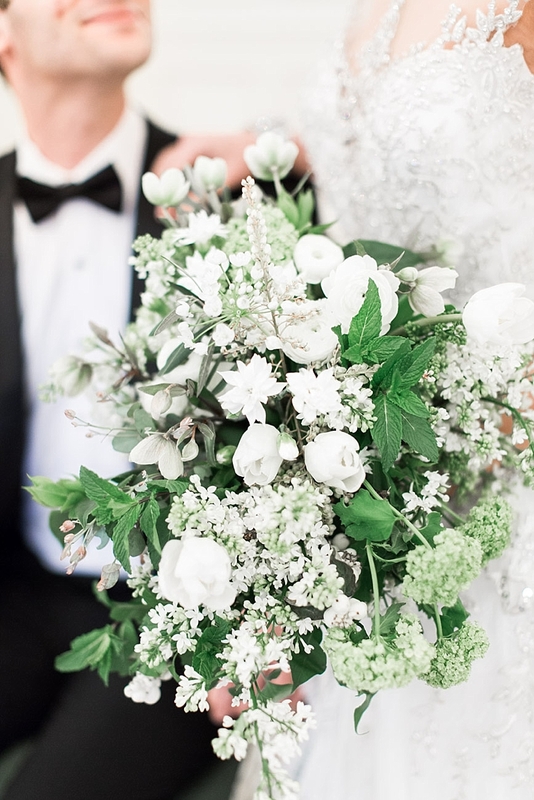 The shape of Diana’s cascading white and green bouquet inspired the bridal bouquet she created for our bride who donned a gorgeous YSA Makino gown that was truly out of this world.